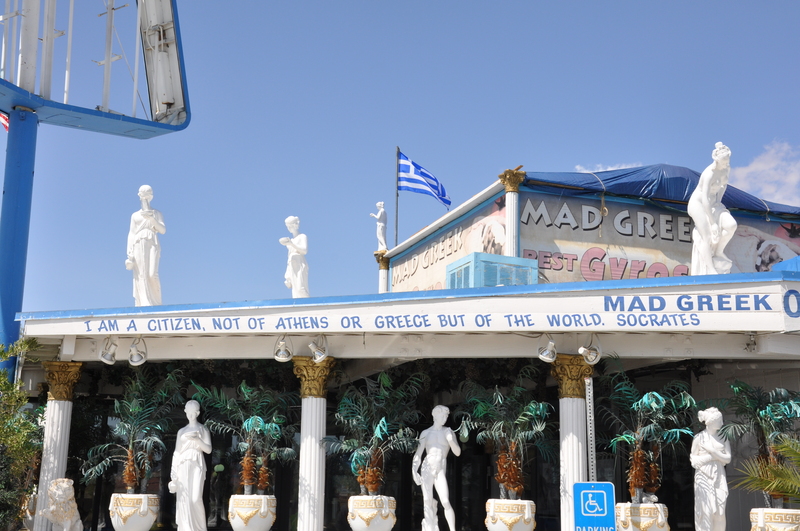 The Mad Greek Cafe is a popular stop along the well traveled stretch of highway between Southern California and Las Vegas. It’s THE pit stop for families, truckers, and those heading home from Vegas seeking hangover cures in the form of tzatziki sauce. 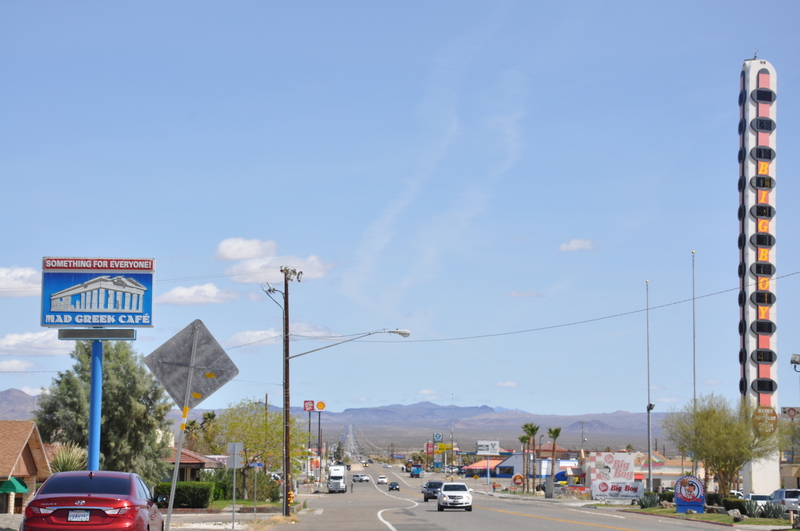 Although it’s the not tallest building in the 600 person town of Baker, California (that would be the world’s tallest thermometer, across the street), it’s definitely the most popular. Wall Drug type billboards advise travelers of how many miles are between them and the Mad Greek. The exterior of Parthenon pillars and white Greek God statues standing between trash cans and handicapped parking spaces cue you in to the fact that the décor is slightly on the tacky side. Inside are huge, ugly pictures of Athens and the Greek Isles. I didn’t even KNOW it was possible to take an ugly picture of Santorini. Just typing the name of the island brings me back to the most gorgeous place I’ve ever visited. I think I spent most of the Grecian part of my honeymoon exclaiming that Greece “looks just like the pictures!” Luckily I was referring to the gorgeous shots in my Greece Isles calendar that my future (and now ex) in-laws had bought me. 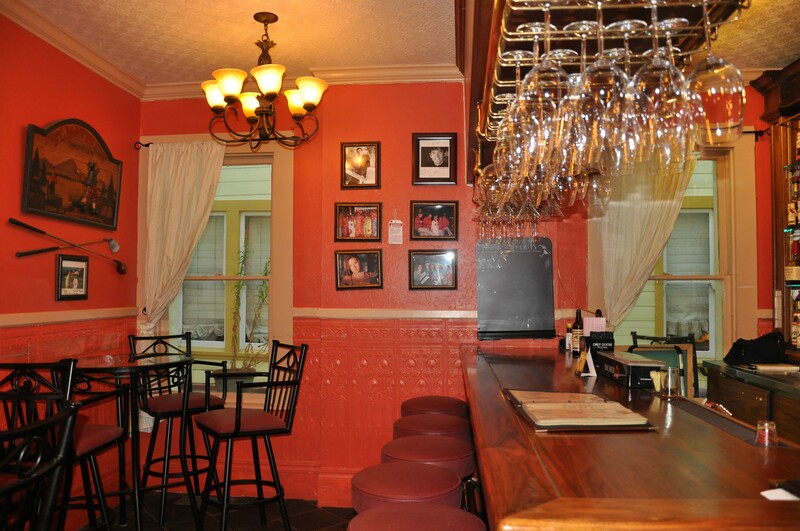 The Mad Greek’s gray dingy shots bear no resemblance to that calendar. Or the Aegean islands. Thank God. Anyways, the food is great. Lamb kabobs, gyros, pita bread, rice, and baklava are the things to get, but regular breakfast and diner fare (eggs, hamburgers, etc) are also on the menu. Their milkshakes are good too. They are open 24 hours. Give them a ring at (760) 733-4354 or stop by. They are in the middle of town at 7211 Baker Blvd, not like you need the address. You can’t miss it. Where the Mad Greek tends to attract gluttons, vacationers, partiers, and ON-the-beaten-path-road-trippers, my other favorite drive in is quite the opposite. 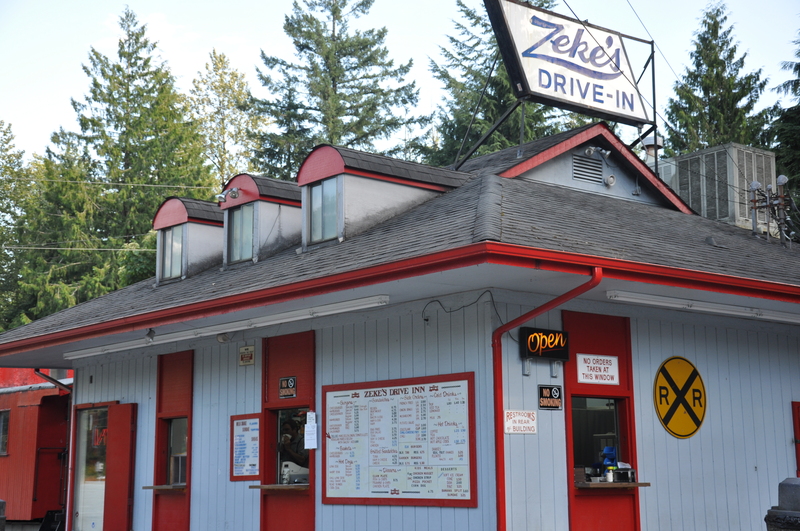 Zeke’s Drive-In (44006 State Route 2, Gold Bar, WA 98251. 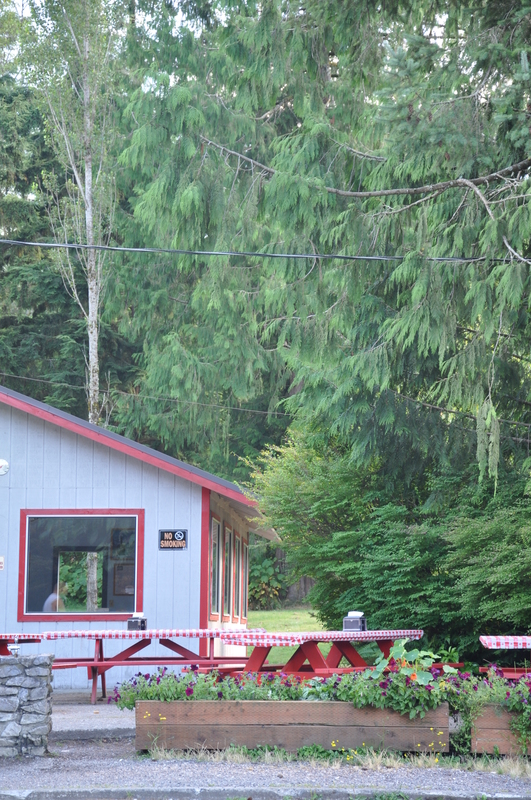 360-793-2287) is in Gold Bar. All the greenery and gray sky is a good clue that the town of Gold Bar is somewhere near Seattle. And indeed, it is – about and hour and a half northeast of the Emerald City. There are no long lines, no statues, and no parking lots at Zeke’s. 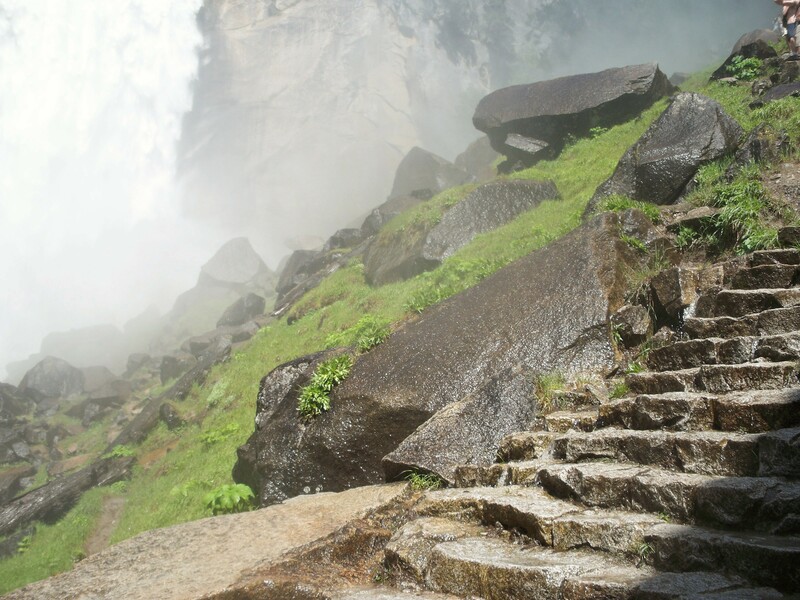 This place attracts hikers, skiers, snowshoers, and fishers. Although a drive-in, Zeke’s does have a little indoor place to eat, with picnic tables, trail maps on the walls, and no heat. If you are freezing cold because you just hiked six miles in the pouring down rain (and you probably did), it’s best to stay in your car with the heat cranked up. I don’t know if Zeke’s food is particularly good or if it’s just that ANY hamburger is good after a long day hiking or skiing. 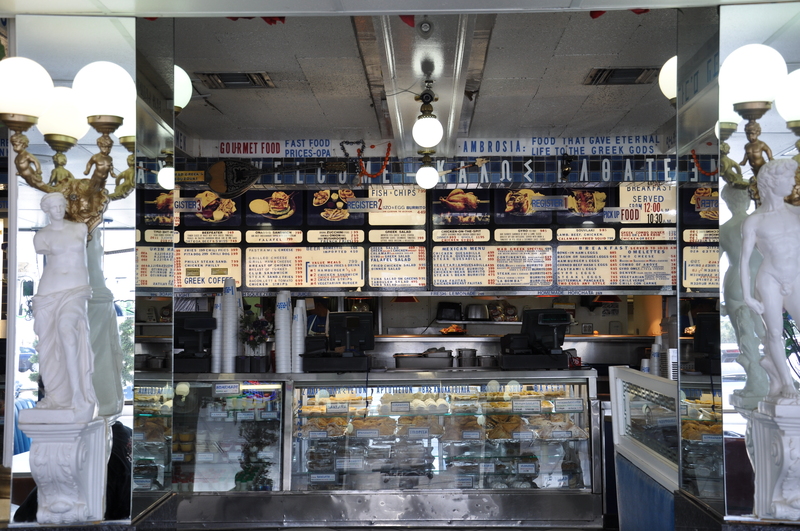 Whatever the case, Zeke’s burgers, shakes and fries always bring happy thoughts and memories. After venturing from Seattle, to Key West, to New England, my friend Denise and I decided that we might as well go to San Diego so we could hit all corners of the lower 48 this autumn. Granted, we did not make it up to Maine, but Boston is pretty close, right? Denise and I had several “themes” on this road trip. We had to eat a lot of desserts, we had to tour old baseball stadiums, we had to run a race every weekend, and we had to ice skate outside. Having grown up in the Kristi Yamaguchi era, we ice skated a lot as kids. We were obsessed over the Tonya Harding/Nancy Kerrigan debacle during those Lillehammer Olympics, and we routinely thought that WE were going to be famous ice skaters. As it turns out, holiday outdoor ice skating around the US is a little harder than you would think. Lots of rinks weren’t open in early November and prices were ridiculous. We missed the rink in Syracuse, (I know! Syracuse! Isn’t it always winter there? ), the Frog Pond in the Boston Commons, and the rink in Chicago’s Millennium Park. According to Denise who skated in Chicago last year, the Millennium Park rink was the biggest and most fun due to its location within the city. But we did make it to a couple places. I seriously think we would have stayed in Manhattan until this rink opened up. This was a must for us. Yes, there was also skating in Central Park, but we’d dreamed of Rockefeller skating since we were, like, five. 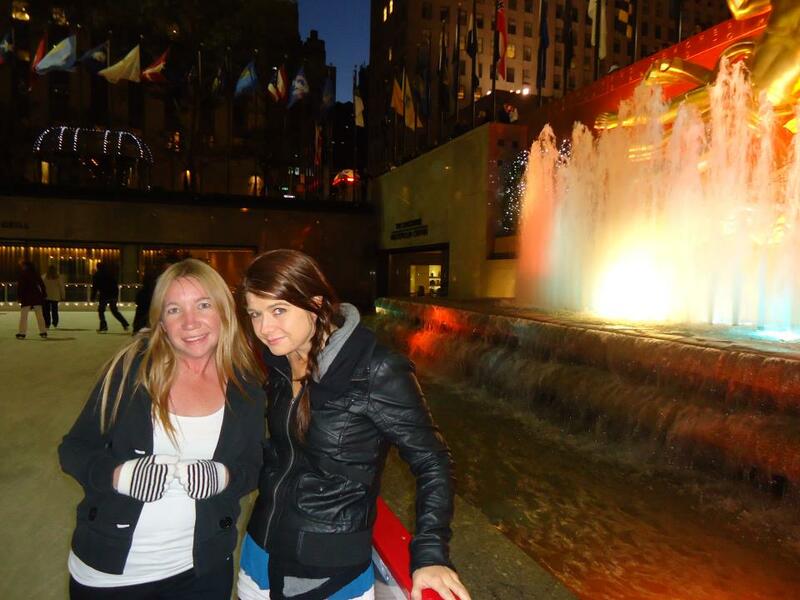 Luckily for our itinerary, the rink at Rockefeller Center opened in mid-October. It didn’t disappoint. We got to the touristy place at five, but waited until the zamboni machine had done its job so we could have clean ice. Our wait turned out to be entertaining as the crowd got to witness one man’s proposal to his girlfriend turned fianceé. Our semi-single selves restrained from gagging, but really? It was cute. Once the couple finished their obligatory public make-out session we were allowed on the ice, and it stayed smooth for about an hour. The rink was on the small and crowded side, but it was possible to glide in and out of people with relative ease. There were the usual host of characters at the rink: the little girl in the tutu who was attempting double axels in the middle of the rink, the overgrown hockey player who was purposefully dodging in and out of crowds, and the groups of pre-teens were clumped against the railing, giggling instead of skating. We couldn’t make fun of them because that was us some years ago. This was New York, so there were some more eccentric skaters out enjoying the ice as well. I especially liked the Michael Jackson look alike (post surgery) who was clearly skating to his own tunes. To skate at Rockefeller, be ready to shell out some cash. Skate rentals are $10 and admission to the ice was $21 for adults. Rink hours are generally Monday thru Thursday 9am – 10:30pm, Friday thru Saturday 8:30am – midnight, and Sunday from 8:30am until 10pm. Rockefeller Center is on 5th Ave between 49th and 50th. Give the rink a call at 212-332-7654, as hours change weekly. The rink often closes due to private rentals, so really: call that number and double check. Denise and I were home for less than a month before we went stir crazy in Seattle and decided to head to San Diego. Thus we found ourselves in the adjacent corner of the US, at an ice rink by the sea. 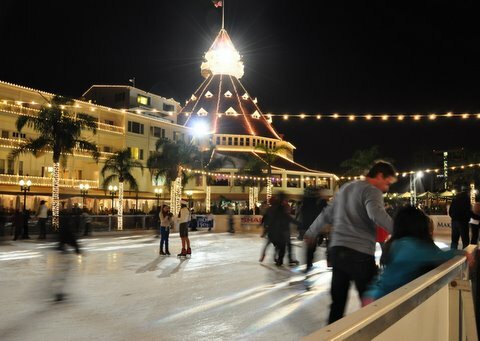 Hotel Del Coronado set up its rink between their red turrets and the Pacific Ocean on November 23rd and the ice will remain there until January 8th. 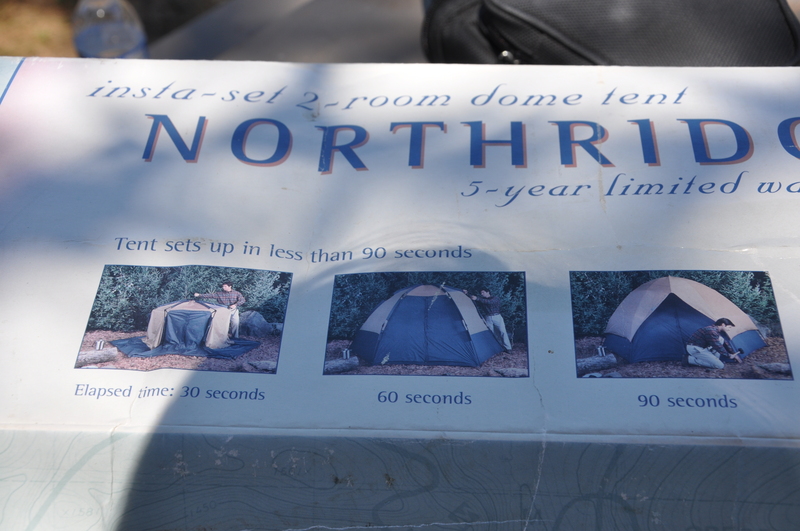 We had hoped that it would be cheaper than Rockefeller, which it kind of was. Evening skating for adults is $25, which includes admission and skate rental. “Matinee” skating is $20. There was no discount if you have your own skates, but it would have been very easy to sneak onto the rink. Each skater is given a wristband, but nobody appeared to be monitoring that situation very well. The rink was smaller, more crowded, the ice wasn’t as clear, and it was generally not as cool as Rockefeller. Yeah, the sea breeze and lighted palm trees were cool, but you kind of forgot about the ocean being next to you. As for the other two corners of the US, I definitely won’t be back in Miami anytime this winter, and Denise and I were there during bikini season, so I’m not sure about ice rinks in Florida. As for Seattle, we like the outdoor rink in Bellevue Park, but for a WAY better list of outdoor rinks in the west, check out this Sunset Magazine article, which features an impressive list of ten cool places to skate in the West. 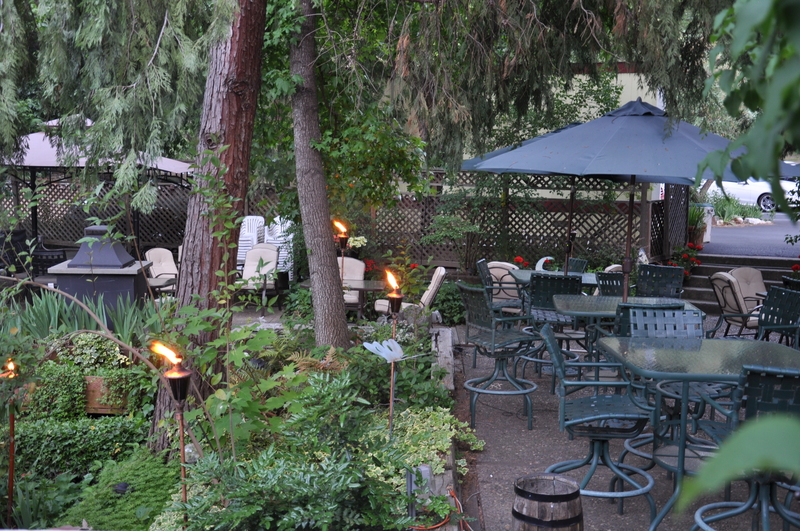 After having a meal at The Cellar Door Restaurant on the patio of the historic Groveland hotel and heading back to our campsite, my mom and I thought we were done with Groveland. Oh no. 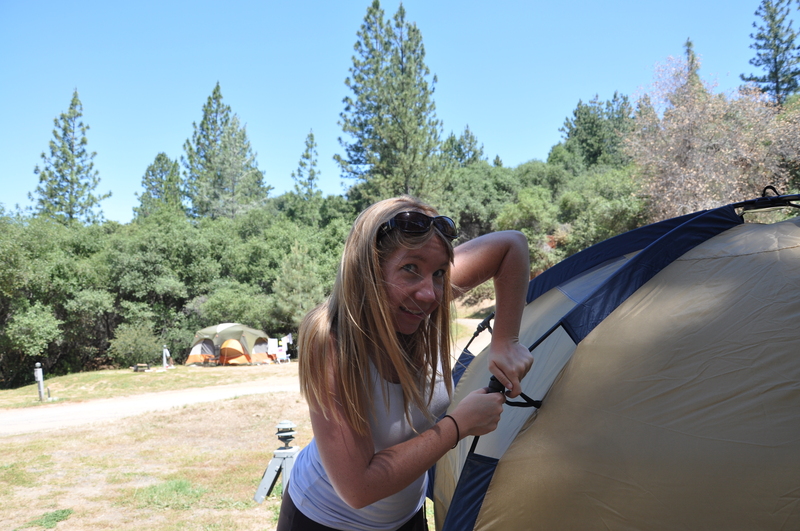 The next morning we successfully took down our tent, somehow stuffed it into my already bulging car. 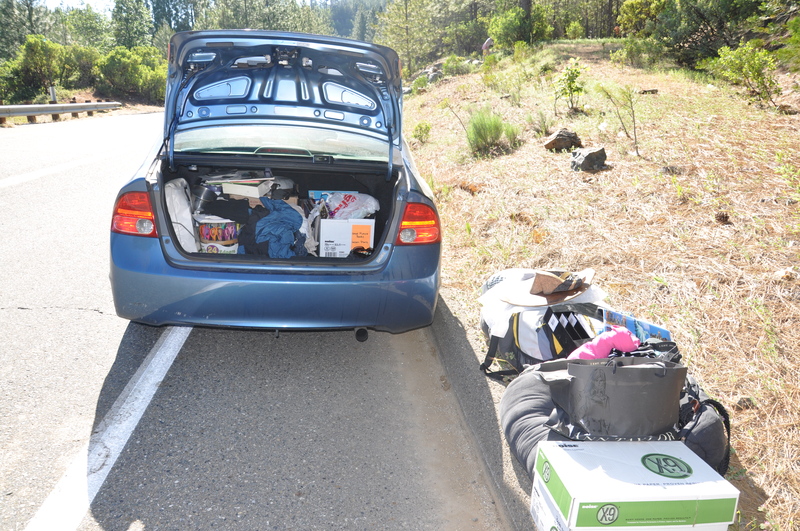 It was bulging not from camping gear, but because I’m moving on top of taking this little road trip, so 1/3 of my worldly possessions are in the back of Natalie, my Honda Civic. 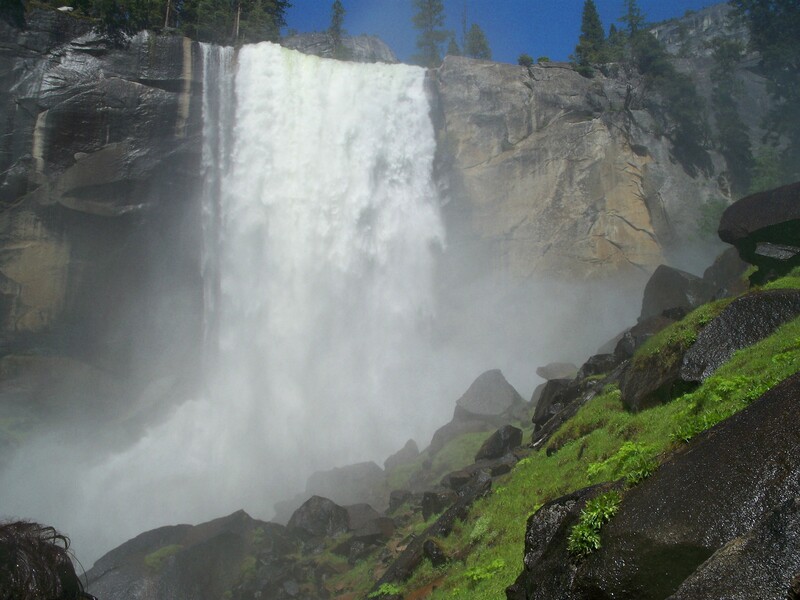 Anyways, we were on our way back to Yosemite to do a final hike at Hetch Hetchy before getting out of town when I blew a tire. I called my beloved AAA as my mom sets up a picnic alongside of the road. “Do you have a spare tire?” The AAA guy asked me. Turns out I did have a spare tire. Yay! Not that I have any concept of how to change it. So the AAA guys came anyways, put the donut on the car and we returned to Groveland. 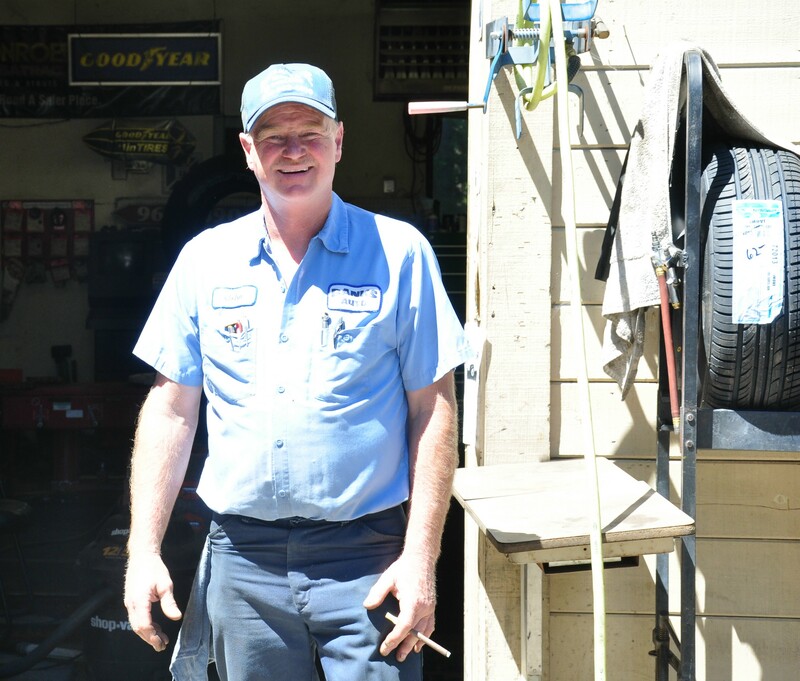 As John (nicest mechanic ever!) at Banks Auto supply changed all of my shoddy tires, mom and I got to wander around town. 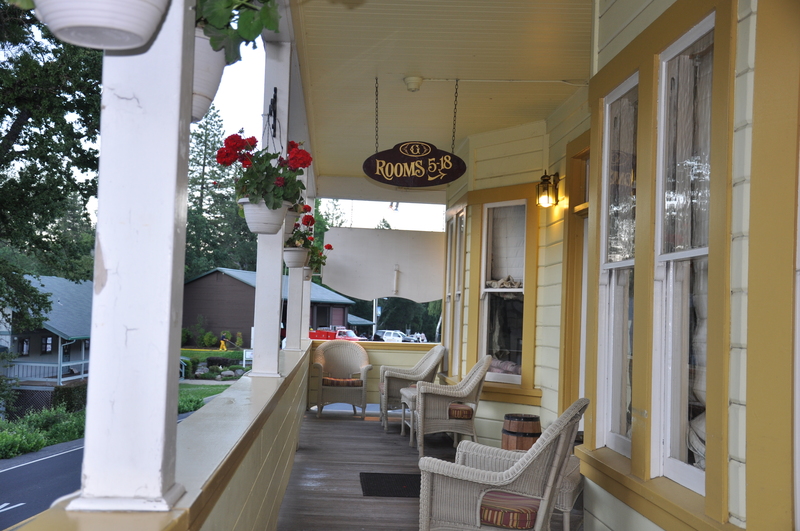 We visited the Groveland Hotel again, saying hi to Peggy who owns the place with her husband Grover (I’m not kidding). The hotel which has been called both haunted and the best place to kiss. It’s also on the registry of historic places as the original was built in1849. It’s been beautifully renovated and even doubles as a concert venue in the summer. Groveland also features a park (complete with picnic tables, bleachers and a stage for Sunday services in the park, and a skateboarding area), library and museum, and a few touristy shops that were not open by 10am on Tuesday morning, which was too bad because the dress in the window as Ms. Kitty’s Consignment Shop looked pretty cute. All in all, it was an unexpected but nice morning in Groveland. 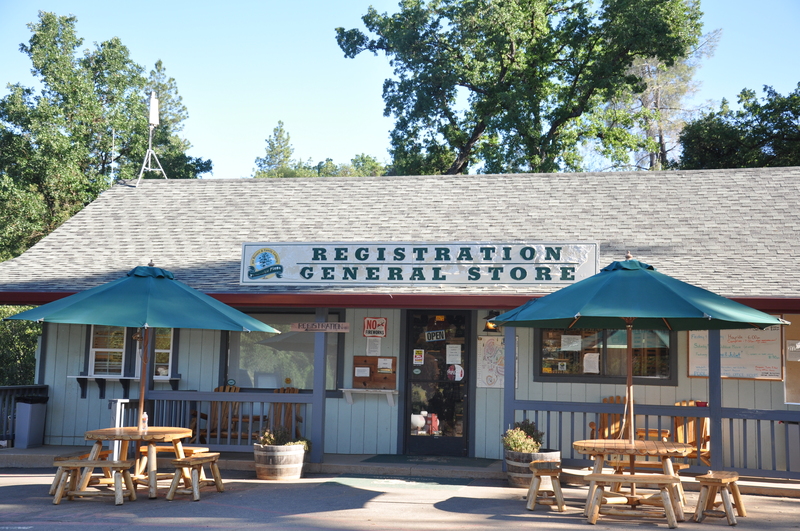 If you’re anywhere near Yosemite and need a place to stay, eat, or have car work done, Groveland is the place to be. 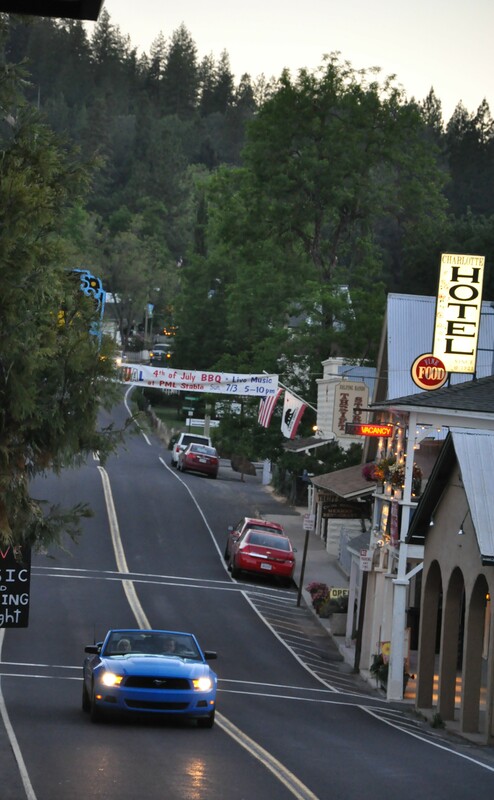 The Groveland Hotel is located at 18767 Main Street, Groveland, CA 95321. 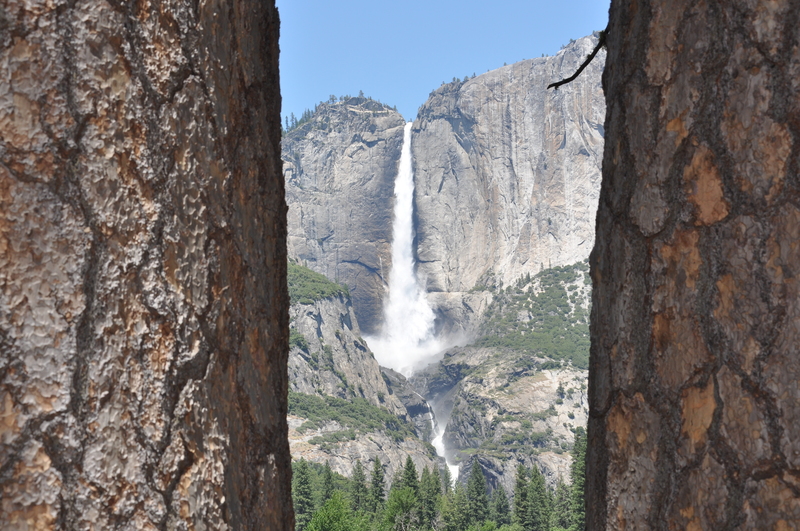 You can’t miss it as this is the main highway to Yosemite if you’re heading to the park it will be on your right. Peggy, Grover, and the rest of the staff can be reached at 209-962-4000. Banks Auto is a little harder to find. If you’re heading east (towards Yosemite) on Main Street, take a right by the abandoned gas station and about 1/4 of a mile up the hill you will see Banks on your right, kinda behind a house. 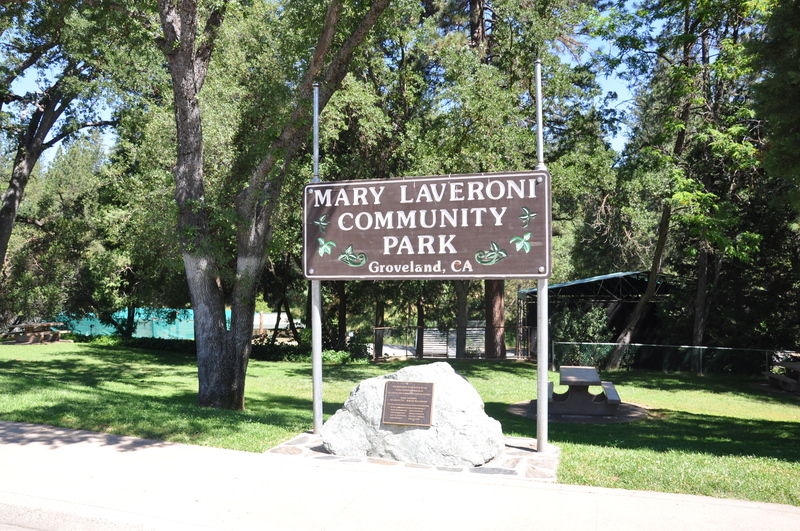 There address is 11823 Powder House St, Groveland, CA 95321. The number is 209-962-4890. I’m writing this from the Tokyo-Narita airport. This airport makes me want to stay in Japan. It’s fantastically organized and spotless. It is hot though. I read somewhere that the Japanese government is keeping buildings at 85 degrees to conserve energy. “Good for them,” I’d thought, not remembering that I would be sitting in a Japanese government building for four hours. Oh well. But this post isn’t about a Japanese airport. It’s about someplace even hotter: Modesto, California. The problem is that I’m traveling faster than I’m blogging, which is pretty much the best problem in the world. So Modesto. Not typically a sought after destination, unless you are a minor league baseball fan. Last Tuesday (June 21st) the Modesto Nuts hosted the California-Carolina League All-Star Smash, wherein the top prospects for both leagues battle out their nine innings together. The game is played in different stadiums each year, alternating between the east and west coast. This year it was Modesto’s John Thurman Field turn to host the event. Modesto pulled out all the stops for the 5,000+ fans that were in attendance, from Hall of Famer Rollie Fingers throwing out the first pitch to the fireworks show after the game. California even beat Carolina 6-1, thanks mostly to a typically minor-league 3rd inning which included two walks, a fumbled double-play ball, a hit batter, two singles and a sac fly. Buy hey – we’ll take it! John Thurman Field is located at 601 Neece Drive, Modesto, CA 95351. The area is pretty nice (not always the case for baseball stadiums), tucked near a park and golf course. If you want to avoid the parking fee, plenty of street parking is available. The stadium features mostly bleacher seating, but those bleachers have backs, so they’re not too bad. The only seat-seats are in the section behind home plate. But no matter where you sit, your less-than-$20 seats will have a great view. 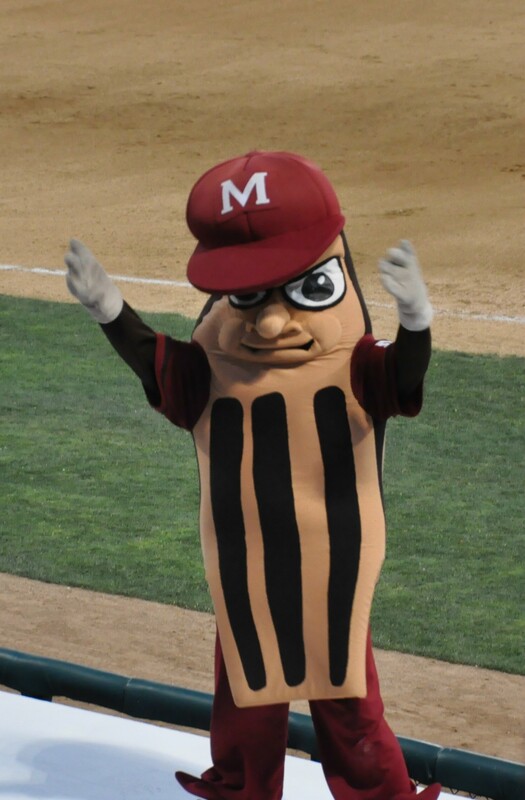 Thus the allure of minor league baseball. If you go to a game, be sure to get an autograph or two. The players are more than happy to oblige, and you never know…they could be major leaguers someday!